It’s been awhile since I’ve blogged. I’m pretty darn good at running this business, keeping on top of editing, emails… that’s my jam. However, blogging on the other hand is where I could use some help… I’m behind, like majorly behind. I have so many weddings, so many stories I want to share with you but I can’t find the time! Anyone have any tips?! I’d love to hear them if so! Today while scrolling through instagram I discovered that it was Farouk and Rachel’s first anniversary! My first thought was “WOW, was that really a year ago already?” and then I thought, “Oh my, I started blogging their wedding months ago and never finished.” So here I am. Back from vacation, just took a bubble bath, DQ Blizzard in my hand and sitting down to blog and it feels so good! 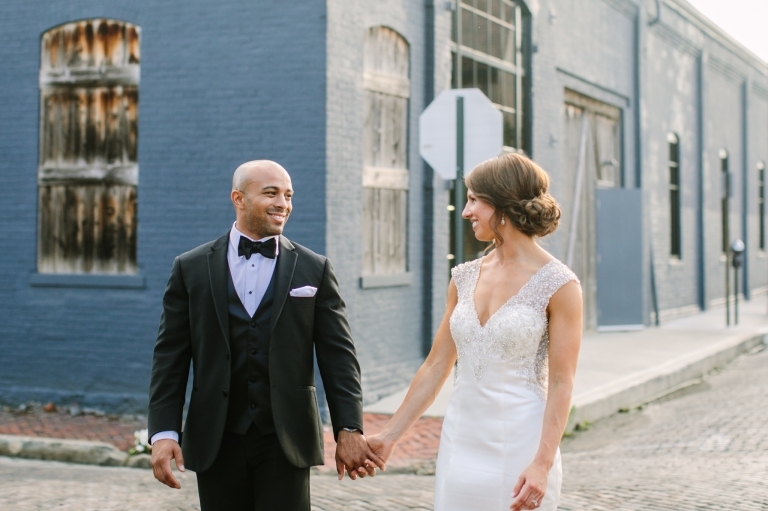 Rachel and Farouk got married at the beautiful Central College Church with a reception following at one of my favorite venues, High Line Car House. The weather was perfect, their bridal party friends and their families were the kindest and most fun. Most of Farouk’s family traveled from the New York area and Farouk’s sister sang at their ceremony, which may have caused me to cry. It truly was a perfect day, florals were on point from Evergreen Flower Co. and these two were the perfect, most fun couple. I’m reminded once again how lucky I am to work with couples like them. Rachel and Farouk met at a restaurant in NYC called “Katch” – Rachel was leaving the gym and Farouk was on his way home after a long day of work. Both of their friends convinced them to stop by and hang out for a little bit. Little did they know both sets of friends knew each other and it wasn’t long before they combined tables. Rachel and Farouk hit it off from the start. The next day Farouk CALLED Rachel (that never happens in this day and age) to ask her on a date and the rest is history. Rachel and Farouk love to workout together, eat (taking) advantage of NYC’s diversity of food and when they get the chance to travel it usually includes a stellar hike. Photographer: Kismet Visuals & Co.